Over the summer, Kostic attended the 16th International Heat Transfer Conference (IHTC-16) where he was a panelist on the development of a new entransy theory. 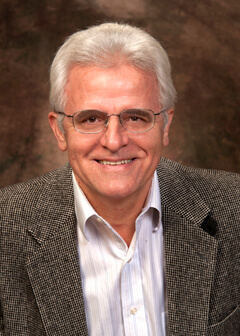 The inclusion to the panel has been influenced by Kostic’s recent publication related to the entransy concept and controversies, as well as his prior collaboration with Chinese universities, starting with keynote lectures at the prestigious Tsinghua University. The event was held at the Chinese National Convention Center, Olympic Game Park, Beijing, China, from Friday, Aug. 10 to Wednesday, Aug.15. The IHTC is the world’s premier conference for scientists and engineers in the heat and mass transfer research community. The global conferences, also known as Heat Transfer Olympics, are convened every four years in different countries, to exchange the latest heat and mass transfer information. The IHTC-16, hosted for the first time in China, continues the increasingly important mission of fostering international cooperation and the exchange of ideas among colleagues to solve urgent problems and improve peoples’ lives in the years ahead. The heat and mass transfer community is involved in nearly all aspects of society since virtually all activities involve some form of heat or mass transfer. Heat and mass transfer phenomena control energy production and utilization systems, many types of production lines, transportation systems and numerous daily activities for our modern lifestyles. Thus, heat and mass transfer is a vitally important field where scientists and engineers face difficult challenges developing cutting-edge technologies for highly efficient energy systems, massive information/communication equipment, high-value-added manufacturing and comfortable living environments, to name a few. Kostic retired from his regular NIU duties in 2014 to focus on his fundamental research.